Books don’t commit crimes, people do. If we are going to discuss the guilt or innocence of a given book, we need to first define and delineate what the discussion is going to be about. There is no discussion about the commitment of the crime. It happened and it is still happening. People are still using the canards of the Christian Scriptures to delegitimize, dehumanize and to create an unjust negative image of the Jewish people and their beliefs. This is not open to discussion, this is a fact of history and it is a fact of life. The question that is being discussed is the question of the intent of the authors of the Christian Scriptures. If the authors of the Christian Scriptures had no malicious intent then we cannot rightly accuse them of criminal activity. Perhaps they were negligent, perhaps they were foolishly naïve, but in order to determine that they were participants in the crimes of Christian Europe we will need to demonstrate malicious intent. There are a few concepts that need to be set aside before this discussion can take on any meaning. For those who are convinced that the origin of the Christian Scripture is divine, then this discussion can have no meaning. For those people, and for many centuries this was the outlook of Christian Europe, virtue and sin is defined according to the Christian Scriptures. So if the Christian Scriptures dehumanize the Jew, then it is virtuous to dehumanize the Jew and it is sinful to consider the Jew human. If this is the outlook then there can be no discussion about the guilt of the Christian Scriptures. Fortunately, we live in an age where most people recognize that if the Christian Scripture had an intentional hand in the crimes committed by Christian Europe toward the Jewish people, then that book cannot be divine. This then is the basis for our discussion. Another concept that needs to be defined if not set aside is the idea of seeing a book as an entity that stands alone. Until the Protestant Reformation, no one saw the books of the Christian Scriptures as the sole authority on Christianity. It was understood and accepted that the attitudes and teachings passed on by the body of believers in Jesus were the heart and soul of Christianity. The books of the Christian Scriptures were part and parcel of the total outlook, but no one dreamed of seeing them as an entity that stands apart from the community that birthed them. With the rise of the Reformation, the theoretical concept that became popular was that it is only what is written in the book that defines Christianity and no other body is authorized to define Christianity. I say that this concept is theoretical simply because it is not practiced by any denomination of Protestant Christianity. Every denomination of Protestantism accepts beliefs and attitudes from the community that preceded it, at least as they relate to the makeup of the Christian Scriptures. This theory is relevant to our discussion because if Scripture alone is authorized to define Christianity then whoever it is that we are talking to can easily say that his or her interpretation of Scripture is the only accurate interpretation and therefore all of our findings are meaningless. This argument makes it that much more difficult to demonstrate the guilt of the Christian Scriptures because we now need to demonstrate the guilt of the book according to the interpretation of the individual we are addressing. The fact is that the Christian Scriptures are so guilty, that even with our hands tied behind our back we can still demonstrate the guilt of this book. One more concept needs to be clarified before we begin. A book is not a product of an individual it is a product of a community. Yes, individuals write books, but without the community the books would disappear into oblivion. If the community does not find in the book something that speaks to its heart, or if the community finds the book distasteful, then the book will never be copied and the future generations will never know that it existed. With all of these concepts in place we can now proceed to the trial. What is the accusation that we bring against the authors and the community that birthed the Christian Scriptures? We are not accusing them of directly instructing their posterity to commit the crimes of the Inquisition, the holocaust and the centuries of cruel persecution of the Jewish people. But we are accusing them of laying the groundwork for those crimes. Before Christian Europe began persecuting the Jew, they first saw the Jew as an entity that stood apart from the rest of humanity. In the mind of the Christian, the Jew was guilty of heinous crimes against God and against humanity, the Jew had a different spiritual nature than other people and the Jewish rejection of Jesus was rooted in the inherently evil nature of the Jew. The Christian also believed that all of these evil qualities of the Jew were taught by the teachers of Judaism as if they were the highest virtues. The Inquisition, the pogroms and the holocaust would not have been possible if the European would not have first believed that the Jew and Judaism were children of the Devil. There is no question that this description of the Jew and of Judaism is recorded in the Christian Scriptures. This is how generations of Christian teachers understood the words of the Christian Scriptures and this is how they taught it to those who would listen to them. As the horrors of the holocaust became clear, many Christians recoiled from this interpretation of the Christian Scriptures. The modern claim is that this was not the original intent of the authors when they wrote those words. Another defense thrown up by those trying to cling to the righteousness of these books is that the Hebrew Scriptures also speak ill of the Jews. Christian Europe also used the writings of the Jewish prophets to dehumanize and to delegitimize the Jewish people. At this point we need to introduce another accusation against the community of people who believe in Jesus. This community usurped the Jewish Scriptures and wrenched them out of their original context. It is only when the Jewish Scriptures are read in the unnatural context of Christianity that they can be misused to dehumanize the Jew. And here is where our story begins. What community was it that produced the Christian Scriptures? Who were the enemies of this community and what challenges did they face? How did this community define themselves and the world around them? The community that produced the Christian Scriptures was a community that saw belief in Jesus as the most important factor in defining a human being. They defined themselves according to that belief and they defined others according to their lack of belief in Jesus. So powerful are the lies of their book they even claim to be the authentic representatives of Jews posing as Rabbis. Belief in Jesus means believing in him as the Messiah predicted by the prophets of Judaism. Now the Jews, by and large, did not believe in Jesus. This created an obvious problem for the community of Jesus believers. And this community was strongly motivated to dehumanize the Jew and to claim that the natural instincts of the Jew are evil and that as children of darkness they cannot come to the “light.” Furthermore, this community was motivated to teach that the Jew cannot understand his own Bible. It is only the believer in Jesus whose eyes are “opened” to the truth of the Jewish Bible. But the Jew’s heart and eyes are closed to the truth. These were the teachings of the early community of believers in Jesus concerning the Jew and this is reflected in the writings of that community, including the Christian Scriptures. The criticism of the Jew in the Christian Scripture was never read as an internal self-criticism of the community of Jesus believers. It is still not read in that sense, even by those who would disassociate the crimes of Christian Europe from this set of books. Until today, the negative words that the Christian Scriptures has for the Jew are read as an explanation for the Jewish rejection of Jesus. The criticism of the Jewish people that is found in the Jewish Scriptures was also read by the Christian community as a criticism of their theological opponents. Even when the Church taught that the Christian had replaced the Jew in the covenantal relationship with God, still the Christian never read the censure of the Jewish prophets as a criticism of the Christian community. The Christian always read the criticism of the Jewish prophets as a declaration of the evil of those who stand on the other side of the divide; those who don’t believe in Jesus. The true context of the Jewish scriptures is entirely different. The prophets themselves declare that the Jewish Scriptures were given to the Jewish people to the exclusion of any other entity (Psalm 147:19,20). The Jews have always read the censure of Isaiah and Jeremiah as internal self-criticism and they still read them that way. They never read these words as a description of their theological enemies. To compare the criticism of the Jews found in the Jewish Scriptures with the caricature of Jews and Judaism found in the gospels is to compare good with evil. The one was always read by its target audience as self-criticism while the other was always read by its target audience as the dehumanization of their theological challengers. But it didn’t have to be like this. The early community of believers in Jesus was faced with a challenge. The theological doctrines that they held most dear were rejected by the Jewish people and this rejection was not easily dismissed. After all, it was the Jewish people who were waiting for the Messiah so why did they reject the Messianic claims of Jesus? The community of believers in Jesus needed to formulate some type of response to this Jewish rejection. They needed to explain to themselves as well as to others why it is that the Jewish people could not agree that Jesus fulfilled the Messianic prophecies. At this juncture, the followers of Jesus had several paths open to them. They could have simply ignored the Jewish people and their claims and remained silent (“turn the other cheek”). Or they could have restated their case for the Messiah-ship of Jesus with greater clarity, attempting to assess what it is that the Jewish people don’t understand about their claims (“do unto others as you would have done unto yourself”). If the followers of Jesus had chosen either of these paths then the history of the Jewish people would have been that much different. There would have been no holocaust, no Inquisition, and the life of millions of Jews would have been so much more peaceful. But the community of Jesus believers took a different path. They took the path of hatred and slander. They came up with fantastic theories that delegitimize the Jew’s opinion and discount the arguments of the Jew before they can be heard. The Jesus centered community taught their followers that the God centered community loved lies and hated truth. That they enjoyed murder and their religion was legalistic, cruel, hypocritical and arrogant. As blind children of darkness and the devil, there is no reason to take the arguments of the Jew seriously. This then was the path chosen by the community of Jesus believers; the path of delegitimizing and hating their theological opponents. Hatred of the Jew and Judaism remained a hallmark of the community of Jesus believers. The subsequent writings of that community are all laced with deep antagonism towards Jews and Judaism. So this is the situation. We have a community that had a vested interest to delegitimize and dehumanize the Jew. This community produced a series of books that contain precisely this sentiment. And we are to assume that this is a wild coincidence? That the authors and editors of the book were not guided by the base hatred that saturated the hearts of the rest of the members of the community? If you look at the history of the community that produced this book, you cannot but conclude that this book reflects the petty hatred of that community. So when John’s Jesus “explains” that the reason that people don’t believe in him is because they love darkness and/or because they are children of the devil, it is a reflection of the hatred that festered in the heart of the community that authored and edited the book of John. This is precisely what that community wanted to believe; that they are children of God and children of light while their theological opponents are incapable of loving the truth because they are inherently evil. This saved them the trouble of considering the arguments of their enemies. When Paul teaches his audience that the Jews have a veil over their eyes when they read the Torah and that they are blinded from seeing the truth of Scripture, he was setting the Jew apart from the rest of mankind. With these arguments Paul and the editors of his writings avoided the inconvenience of seeing the Jew as a human who has the capability of discerning right from wrong. When Matthew’s Jesus describes the Pharisees as a brood of vipers and as a people steeped in hypocrisy, he was teaching his community exactly what they wanted to hear; that the Jewish concept of virtue is precisely the opposite of true virtue and there is then no need to take the Jewish rejection of the claims of the Jesus centered community with any seriousness. Perhaps you are still unconvinced. Perhaps you think that is a complete coincidence that the community that was so motivated to delegitimize the Jew produced a work of literature that does precisely that. You still want to cling to the belief that the Christian Scriptures say nothing negative about Jews who don’t believe in Jesus, and all of this negative talk refers to a very limited group of people or that it refers to all who don’t believe in Jesus without singling out the Jews in any way shape or form. In case that is your belief, then I have a question for you. Why is it, that until today, people from the Jesus centered community find it difficult to acknowledge that the reason Jews cannot accept their claims for the Messiah-ship of Jesus is because they love God? Why is it so difficult for them to acknowledge that it is a loyalty to God and to His goodness that does not allow Jews to accept Jesus? Why can they not admit that they have yet to provide a convincing case for the Messiah-ship of Jesus to the Jew who loves God and who loves His word? Is it perhaps because of the teachings of the book that they hold so sacred that prevents them from acknowledging this simple truth? Ah Denmark, what a country. If any society breathes the spirit of liberty, this is it. It was only a few weeks ago that I was in Copenhagen for some international conference, and as ever I rose early and went for a run. As I passed through some yuppie zone of warehouse conversions and posh restaurants I saw to my amazement that the Danes had also got up early for exercise – and they were diving stark naked into the bracing waters of the harbour. And I thought to myself – that’s the Danes for you; that’s the spirit of Viking individualism. I mean, we have a climate warmer than Denmark; but even so, would you expect to see Brits disrobing and plunging into the waters of Canary Wharf, or even Greenwich? We are pretty easy-going, but not that easy-going. If you wanted to visit a country that seemed on the face of it to embody the principles of JS Mill – that you should be able to do what you want provided you do no harm to others – I would advise you to head for wonderful, wonderful Copenhagen. Denmark is the only country in Europe, as far as I know, that still devotes a large proportion of its capital city to an anarchist commune, called Christiania, where I remember spending a happy afternoon 25 years ago inhaling the sweet air of freedom. It is the Danes who still hold out against all sorts of EU tyrannies, large and small. They still chew their lethal carcinogenic tobacco; they still eat their red-dyed frankfurters; they still use the krone rather than the euro; they still refuse to let foreigners buy holiday homes in Jutland; and of course it was the heroic population of Denmark that on that magnificent day in June 1992 stuck two fingers up to the elites of Europe and voted down the Maastricht treaty – and though that revolt was eventually crushed by the European establishment (as indeed, note, they will try to crush all such revolts), that great nej to Maastricht expressed something about the Danish spirit: a genial and happy cussedness and independence. It is a spirit you see everywhere on the streets of Copenhagen in the veneration for that supreme embodiment of vehicular autonomy, the bicycle. The Danes don’t cycle with their heads down, grimly, in Lycra, swearing at people who get in their way. They wander and weave helmetless down the beautiful boulevards on clapped-out granny bikes, with a culture of cycling in which everyone is treated with courtesy and respect. Yes, if you wanted to visit a country that seemed on the face of it to embody the principles of JS Mill – that you should be able to do what you want provided you do no harm to others – I would advise you to head for wonderful, wonderful Copenhagen. If you tell me that the burqa is oppressive, then I am with you. If you say that it is weird and bullying to expect women to cover their faces, then I totally agree. So I was a bit surprised to see that on August 1 the Danes joined several other European countries – France, Germany, Austria, Belgium – in imposing a ban on the niqab and the burka – those items of Muslim head-gear that obscure the female face. Already a fine of 1000 kroner – about £120 – has been imposed on a 28-year-old woman seen wearing a niqab in a shopping centre in the north eastern town of Horsholm. A scuffle broke out as someone tried to rip it off her head. There have been demonstrations, on both sides of the argument. What has happened, you may ask, to the Danish spirit of live and let live? If you tell me that the burka is oppressive, then I am with you. If you say that it is weird and bullying to expect women to cover their faces, then I totally agree – and I would add that I can find no scriptural authority for the practice in the Koran. I would go further and say that it is absolutely ridiculous that people should choose to go around looking like letter boxes; and I thoroughly dislike any attempt by any – invariably male – government to encourage such demonstrations of “modesty”, notably the extraordinary exhortations of President Ramzan Kadyrov of Chechnya, who has told the men of his country to splat their women with paintballs if they fail to cover their heads. I am against a total ban because it is inevitably construed – rightly or wrongly – as being intended to make some point about Islam. If a constituent came to my MP’s surgery with her face obscured, I should feel fully entitled – like Jack Straw – to ask her to remove it so that I could talk to her properly. If a female student turned up at school or at a university lecture looking like a bank robber then ditto: those in authority should be allowed to converse openly with those that they are being asked to instruct. As for individual businesses or branches of government – they should of course be able to enforce a dress code that enables their employees to interact with customers; and that means human beings must be able to see each other’s faces and read their expressions. It’s how we work. All that seems to me to be sensible. But such restrictions are not quite the same as telling a free-born adult woman what she may or may not wear, in a public place, when she is simply minding her own business. Daniel 9 and Basic Maths. Daniel 9 is one of the top two passages in the missionary arsenal. Although Isaiah 53 is their favorite go-to passage, there’s enough ambiguity that some Jews still do not seem to see Jesus in the text. With Daniel 9, though, we appear to have a clear date for his arrival and, possibly, his crucifixion. In my experience, Christians will present this verse to declare that the Messiah had to arrive before the destruction of the Second Temple and usually stop there. Presumably because there is math involved and because we need to establish timelines, it’s not a passage many wish (or are able) to discuss in depth. Therefore, we need to examine this as simply as possible to determine if Jesus fits the passage, assuming we accept the Christian assertion that this speaks of the Messiah. Summarily, 483 years after a given starting point, the Messiah (literally, “anointed one”) will arrive. And after a period of 434 years will this person be killed. Again, for this article we are not dealing with translations or punctuation. Often the Christian who presents this passage will have little familiarity with Hebrew to understand the difference. Our goal is to clarify the passage using their understanding. If we use the KJV, we see that although the period discusses a 70 “week” period (490 years), there appears to be some ambiguity: where do the 62 “weeks” in verse 26 belong? Are they the same 62 “weeks” from verse 25 or are they a different set? If we were to say that they are different than the previously-mentioned 62 “weeks,” then we have two serious problems. First, this interpretation would suggest that the Messiah (who arrives after 69 “weeks” and dies after another 62 “weeks”) should have lived 434 years before dying. Should the Christian insist that this speaks of Jesus, then either he was born well before Herod (from Matthew 2) or the census of Quirinius/Caesar Agustus (Luke 2), or that he died well after the destruction of the Second Temple. The second complication is that if this is a legitimate reading of the text, then we have a period of time much longer than 490 years (7 weeks + 62 weeks + 62 weeks + 1 week = 924 years), and the angel clearly told Daniel that it would be only 490 years, ending with that horrible time in 70CE. Another possible reading is from the NIV, which reads, (verse 26) “after the sixty-two ‘sevens,’ the Anointed One will be put to death….” The use of the word “the” before “sixty-two” indicates that these sixty-two are the same as the previous sixty-two (which is actually consistent with the Hebrew text, by the way). We then have two more questions to consider regarding the Christian view. One question is simple: If these are the same 62 weeks, why does verse 25 combine them with the seven weeks? Verse 26 doesn’t say “after the sixty-nine weeks,” or even “after the sixty-two weeks and seven weeks;” it only mentions the sixty-two. This suggests that there are in fact three distinct periods making up the full 70 weeks: seven weeks, sixty-two weeks, and one week. The second question is a little more complex. As stated above, Jews and most Christians agree the 490 years ends in the year 70. However we look at the timeline (69 and the same 62 or 69 and a new 62), the anointed one is to be cut off immediately before the final week commences, meaning that this anointed one should have died about the year 63. However, no one will say that Jesus lived that long: conservative estimates have Jesus dying before the year 35. Thus, according to Christian readings of the text, we have a serious conundrum. Christians would have to argue that either A) Jesus was born 400 years before the gospels say he was, B) Jesus lived more than 400 years and was still alive when the Temple was destroyed, or C) that Jesus died in the year 63CE. However we look at it, Jesus could not have been the subject of Daniel 9. 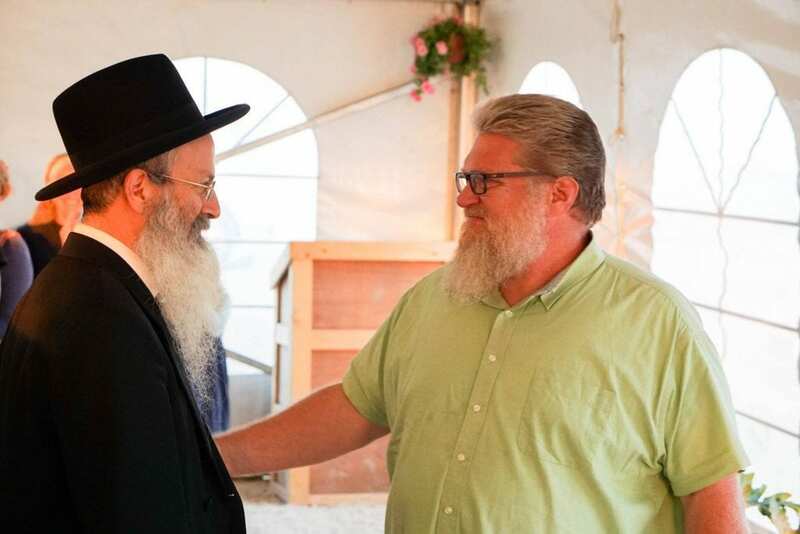 Itzhak Shapira holds “full ordination” from the IAMCS and his book; “The Return of the Kosher Pig” comes with ringing accolades from some of the top names in Messianic and Evangelical circles. With these endorsements in his back pocket, Shapira disseminates his teachings in person and online to innocent and well-meaning people all over the world. These people cannot on their own evaluate Shapira’s expertise because they do not know the language of the texts that serve as the basis of his teachings. Instead, they rely on the appraisal of those who have granted him ordination and who claim to see him as a serious scholar. Recently, Shapira released a video of one of his teachings. In this video, Shapira does not limit himself to the teaching itself. He tries his hand at reading a few lines of the Talmud. The Talmud is the foundational book of rabbinic literature and Shapira is described by these Christian leaders as a scholar in the field of rabbinic literature. But Shapira is nothing of the sort. I showed this clip to a few elementary school children, ages 12-14. These youngsters are beginners in the study of Talmud. These children were convinced that this was some type of comic skit. Shapira’s inability to make his way through a few simple lines of Talmud was so embarrassingly obvious to these beginners that they could not imagine someone posting such a video unless he was trying to make a joke. I now turn to those leaders who have put their names behind Itzhak Shapira and I appeal to you. Please check out this video. Absorb the incredible ineptitude displayed in this video and ask yourselves if this man can lay any legitimate claim to expertise in the realm of rabbinic literature. On what basis do you allow this impostor to mislead innocent people? How can you aid and abet Shapira’s ongoing deception? I challenge you to live up to your calling as human beings created in the image of God and publicly withdraw your endorsements from Itzhak Shapira. I hope and pray that you do so with tact and with sensitivity, but also effectively and decisively. Those who have put their trust in your leadership deserve no less. Unfortunately this “rabbi” cannot proficiently read through a line of Talmud . This video is riddled with blatant mistakes and misinformation. First off he starts with a mistake about the page: he tells his audience that the Hebrew letter פ has the numerical value of 70. In truth though, it is actually 80. He then tells his viewers that a page of Talmud has too sides (i.e. side a and side b) he refers to these sides as ‘Daf Alef’ and ‘Daf Bet’. In truth, there is no Daf Alef in the Talmud. In the Talmud side a is referred to as Amud Alef and side b is referred to as Amud Bet. We then hear him inform his viewers about the context leading up to the line he wants to read, he misleads his viewers to believe that the discussion of the lines of Talmud he fumbled through are speaking of a ‘Tikun’ and of a ‘Pidyon’. The truth is that the words that he read have nothing to do with a ‘Tikun’ or a ‘Pidyon’. He then asserts that the part that he wants everyone to pay close attention to is a continuation from the lines above. (i.e. part of the topic of discussion being addressed just prior to it.) This too is erroneous. His attempt to read and translate both the Talmud itself and the words of Rashi would make entry students of the Talmud laugh and cry. For the purpose of the exercise please click on this link which has both the Aramaic and the translation with elucidation of that page of Talmud. He is referencing the last section of page 80 a.
Rav and Shmuel and Rav Assi once met at a Bei Shavua HaBen (lit. house of the week of the son) (circumcision of a boy) or as some say, at a Bei Yeshua HaBen (lit. house of the redemption/salvation of the son) (a party for the redemption of a son). [The story continues] Rav would not enter before Shmuel, nor Shmuel before Rav Assi, nor would Rav Assi enter before Rav. They therefore argued who should go in last, [and it was decided that] Shmuel should go in last, and that Rav and Rav Assi should go in [together]. What Tzahi then asserts here is that the words Bei Yeshua HaBen somehow refers to a “son” who’s name is Yeshua which he asserts is a reference to Jesus of Nazareth. This is a display of ignorance at its finest. Based on this inane assertion, Tzahi claims that this line in the Talmud “proves without a shadow of a doubt” that the author of at least parts of the Talmud was a believer in Yeshua. What upsets me is that Christian/ Messianic scholars allow him to get away with it. His viewers are clearly unable to know whether he knows what he’s talking about or not and he is taking advantage of their inability to challenge him. More on the scholarly output of Shapira here.